Too hot to handle! On Fire! Smoking hot! I’m going to get them all out of the way upfront, but suffice to say that at the Chiltern Firehouse it’s getting hot in here. 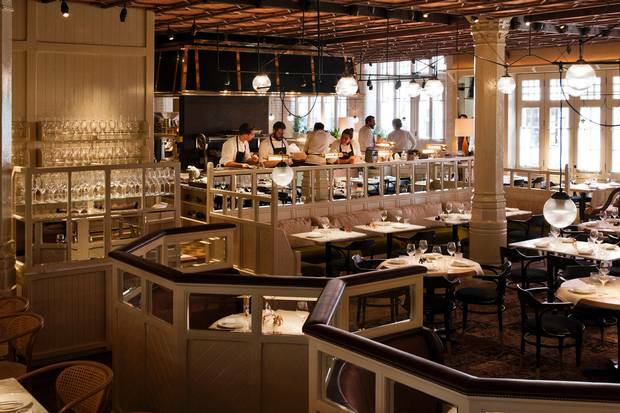 One of the most anticipated restaurant openings of the year, the Chiltern Firehouse is a new hotel and restaurant on Chiltern Street in Marylebone from famed hotelier André Balazs. This is his first European venture, adding to an enviable collection of properties that includes Chateau Marmont in LA, The Mercer in New York and The Standard Hotels in Miami, Los Angeles and New York. 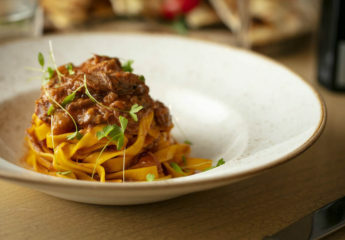 On display in the open kitchen is a brigade of chefs under the direction of Nuno Mendes, formerly of Michelin-starred Viajante in East London, where the menu also takes inspiration from his time cooking with the greats of America – Wolfgang Puck and Jean-Georges Vongerichten. You can choose to sit on the counter in front of the kitchen, in the main dining room that is divided into little sections, or you may wish to sit on the corner table and straddle the fireman’s pole. 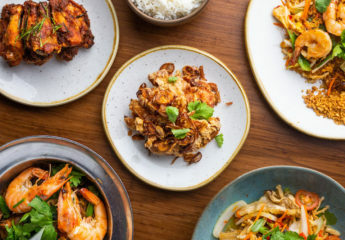 We start with a martini at the bar, and pick from a menu of bar snacks that includes delightful crab stuffed doughnuts – small brioche buns filled with crab. Starters, designed for sharing, hint at the chef’s Southern American influences with sea trout crudo with yellow mole and coriander, and bream crudo accompanied by a delicately spiced green olive sauce. My favourite starter was the Firehouse Caesar, an interesting take on the classic dish with lettuce, crispy chicken skin and parmesan. From the mains, Chargrilled Iberico pork is served deliciously rare with roasted garlic and lemon, but the highlight for me was the monkfish cooked over pine with its wonderfully smoky smell and taste, served simply with some fennel and barley. We swooned over side dishes that included sautéed monk’s beard, maple-bourbon sweet potatoes, and the most excellent fries. On hearing my appreciation of the fries, the charming maître d’ sent over another portion, which we quickly extinguished. I love how Chiltern Firehouse feels exclusive and inclusive at the same time. It’s difficult to get a reservation and the entrance feels like a fortress, but once inside, you’re in for a warm welcome from friendly, attentive staff who make you feel at home. An American style weekend brunch menu is served on Saturdays and Sundays and the gorgeous courtyard terrace will be a must-visit in the warmer months. Make sure you visit the bathrooms as well to locate a hidden second terrace. 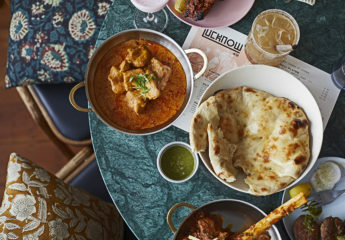 The food is great, the dining room is cool and stylish and the service is slick, but more importantly, dinner here is excellent fun and you will want to linger long into the night, and there’s no better compliment than that. For reservations, try 020 7073 7676 or contact your concierge at Bon Vivant. 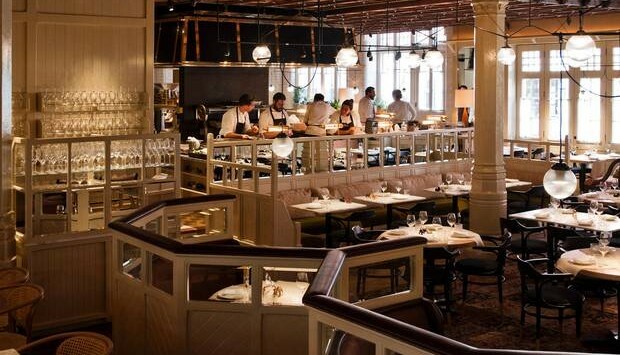 Chiltern Firehouse features in our guide to the best restaurants in Marylebone.